As posted in my first blog, God said, these things must happen…. I believe this is such and exciting time. Not because I have to witness these horrible things, or my children have to witness these horrible things. But because Gods mercy and love will shine bright. A shinning light can only be seen in darkness. Mathew 6:26 – Look at the birds of the air: they neither sow nor reap nor gather into barns, and yet your heavenly Father feeds them. Are you not of more value than they? I am a child of God, I believe that what is written in the Bible is true. It is all true. So, I can live securely and feely, in this life with Boldness to proclaim Gods word, to show God’s love, to be the light in the darkness. I do not have to be afraid of what is to come, I live in the palm of Gods hand. 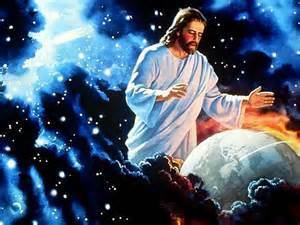 During this time and the time to come God will provide and protect his children. We are to bring people to God through love. We are to speak God’s truth. Let the Holy Spirit do what you and I cant do, change hearts… We are to put ourselves outside of our comfort zones, God does not call us to be comfortable. He calls us to guide or show people to Gods saving grace. If we are busy putting fear into other Christians what gain does this have? Wont it paralyze some? What would happen if Gods children became paralyze with fear? Would we not be promoting the Devils agenda of fear? Putting fear into fellow Christians would also take the focus off of what God intends. Lets be strong together through Jesus Christ, Let us speak boldly of Gods word, let us encourage others, let us speak blessing into each others lives. In my first post I spoke about a word that God had given me. God had told me that this is the time for all to pick a side. That there is no more standing in the middle, no more gray areas. Not all people that say they are Christians or people that say they know God will go to heaven. I encourage all to take an inventory of their lives. Get rid of the things that are not of God. 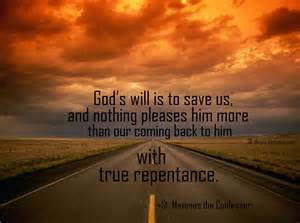 God is calling his church to a true repentance. A repentance that comes from the bottom of you soul. None of us are past that. None of us are pure and perfect. All Christians and non Christians are called to repent. God wants to do unbelievable things with the church these last days. If we do not have a deep relationship with him, a true relationship with him he will not cover us. He will not protect. You will not be apart of the awesome wave of power that will fall on the church. I have been thinking about love. How the world loves, how we love, how God loves, how we love our family our friends. Its easy to look at someone else and see how they do not love the way we think they should. To point out either in our hearts or out loud to someone how they fail in that area. But have we ever stopped and truly examined ourselves? I am quick to anger when someone judges me or my family, to hold a grudge. But is this love? The bible tells me that this is not love. Jesus showed us that this is not love. This does not mean that the person that judges isn’t wrong, but we need to be more focused on ourselves. After all we cant change the other person, only God can do that. So I choose to pray instead of holding a grudge. God will do the healing of the heart, God will do the prompting. That is if we allow it. I like the story in the bible about the adulterer that was going to be stoned. Jesus stepped in and said to everyone, if you have no sin in your lives then throw the first stone. Of course no one threw a stone. We all fail we are all full of wrong. How am I to judge someone else if I am full of wrong? I think it fitting to let God do the judging, after all he is perfect. He loves correctly. Since birth others have taught me to love. They told me how much they loved me but would call me names, abandon me, hit me, judge me, show no compassion or mercy and so forth. Since this is my experience with love, this is how I loved. But God tells us this is not love. He tells us that love is patient, love is kind, it does not envy, it does not boast, it is not proud, it is not rude, it is not self-seeking, it is not easily angered, it keeps no record of wrongs, love does not delight in evil but rejoices with the truth, love always protects, always trusts, always hopes, and always preserves. Love never fails. This is not the love I gave or experienced, so I was wrong. I have a choice to fix it. I have to tell myself, just because I am going to fix something about myself, I cant expect everyone else to fix themselves. I am simply doing it because God asks it of me. In order to understand what God teaches on love, I had to look at a few scriptures. I had to look at my experience of Gods love for me. The bible tells us that Jesus is the Shepard and we are the flock. That the Shepard will never leave us, he will never abandon us, and no matter how wrong we are his is still there loving us and reaching out to us. God shows his love by guiding us, caring for us. 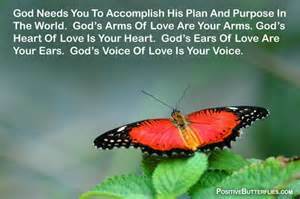 He transforms, renews, strengthens. he fills with hope, joy and peace. He comforts, he forgives and he gives salvation. He is gentle and definitely patient. God honors, he protects and he will answer when I call on him. God corrects. This is what love is. This is how I should be striving to love. Not the way I was taught, not the way someone else loves me and definitely not the way the world loves. This includes loving myself correctly too. During this journey I have ask myself, Self, how can I love like God? I can not transform or renew someone. This can be done in many ways. Not the same way as God can but you or I can do it by simply using a kind word, uplifting someone, encouraging someone, or a kind gesture. There have been many times in my life where my hope in people was gone. Then someone would come along and do something extraordinary for either myself or someone else. This transforms my thoughts. It would restore or renew my hope in people. Yes, I know that it is not exactly the same as God does it but its still in line with the way that God calls us to love. The greatest commandment is to love God with all your heart, mind and soul. The second Greatest is to love your neighbor as you love yourself. I asked myself why Gods greatest commandments are about love. I believe its because love breaks down walls, it softens hearts, love is contagious. We are called to love. We MUST love ALL. Gods grace found me and you as we were. Gods grace meets us where we are.